Saturday, April 1, 3 p.m.—WOODSTOCK—The 7th annual Woodstock Vermont Film Series at the Billings Farm & Museum concludes with the award-winning documentary “Sonita” Saturday, April 1 at 3 p.m. and 5 p.m. in HD projection and surround sound, with complimentary refreshments. The film is open to the public and accessible to people with disabilities. Reservations are strongly recommended. 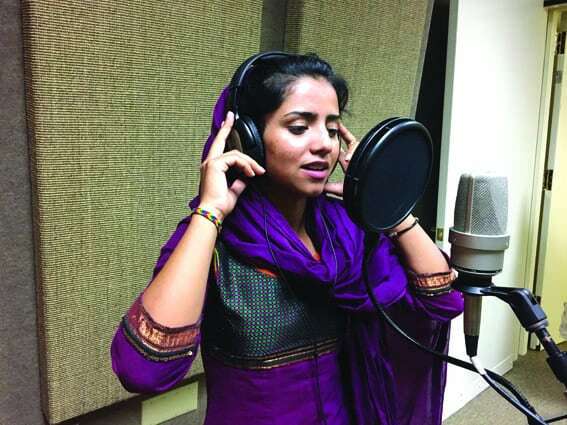 About “Sonita:” After her family attempts to sell her into marriage, a young Afghan refugee in Iran channels her frustrations and seizes her destiny through music—writing and performing fiery rhymes in the face of oppressive traditions. The film has some subtitles. Sundance Film Festival awarded “Sonita” Audience Award and Grand Jury Prize, plus an additional 14 wins and four nominations. Tickets prices are $5-$11. For additional information, visit billingsfarm.org/filmfest or call 802-457-2355. Billings Farm & Museum is located one-half mile north of the Woodstock village green on Vermont Route 12. In “Sonita,” a young Afghan refugee uses music as an outlet for frustration over arranged marriages and the tradition of her family.